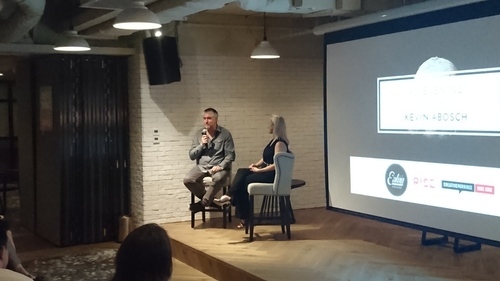 Our very own Founder Juliet O'Halloran takes the stage to interview world renowned visual artist Kevin Abosch at the brand new luxury co-working offices of Eaton House. Having grown up in Los Angeles it is not surprising that his earliest subjects were Hollywood celebrities. Abosch's portraits of many of the world's most famous faces are remarkably devoid of artifice despite the usual feeling of contrivance a portrait sitting introduces. He treats his non-human subjects as if they were human, or vice versa. In 2016, a global media frenzy around Abosch's "Potato #345", a portrait of a potato, helped make the photograph one of the most recognizable works of art of our time. Abosch works and lives between Paris and Dublin.